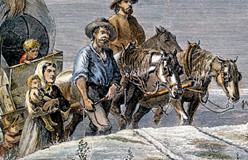 By the 1840s, Americans were again on the move. 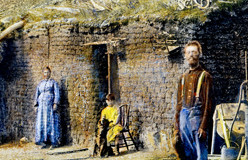 In 1848, miners found gold in California. 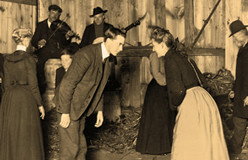 Americans caught gold fever. They headed west, hoping to get rich quick. Few did, but many went back east and told their friends about the unsettled country they’d seen. 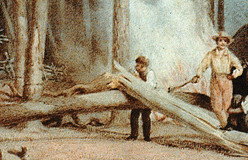 Some pioneers sought fortunes in timber, fur, or precious metals. Others hoped for better health in the mild Pacific Coast climate. People came west for these and other reasons. 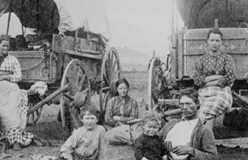 From the 1840s to the 1860s, more than 300,000 people crossed the Great Plains and the Rocky Mountains to reach the Pacific Coast. The route they took was called the Oregon Trail. 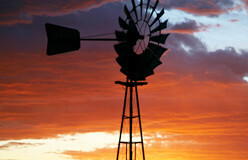 The covered wagons that carried them became known as prairie schooners, or ships of the plains. That’s because the wind blew their canvas tops in and out like a ship’s sails. 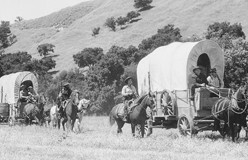 Before pioneers began their 2,000-mile journey, they had to buy a wagon. They also had to pack it full of supplies. Then they had to join a wagon train.